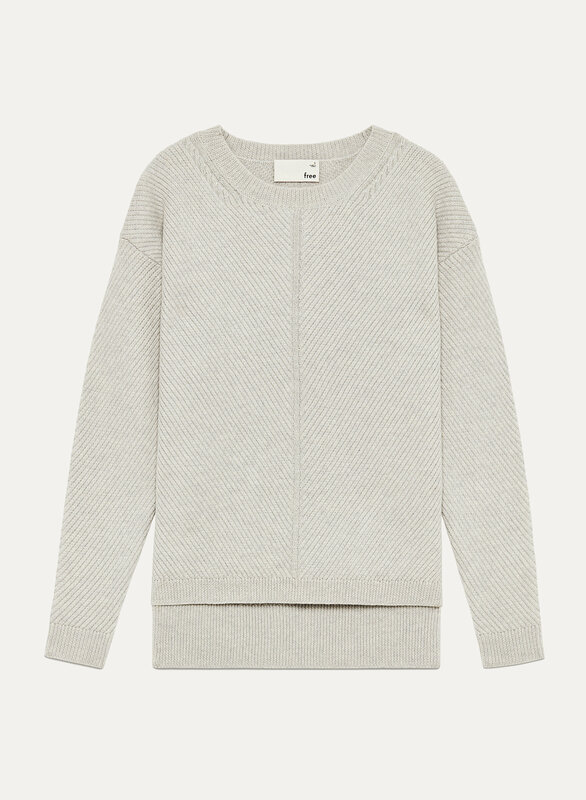 Made with Italian merino wool, this sweater is soft, warm and essential. We amped up the texture with a special chevron-pattern stitch. This sweater fits great and looks quality. I love the weave pattern. This sweater is way too high maintenance for me. I hand washed in cold water the first time, and put it in the machine on a cold water wool/delicate cycle and it shrunk a lot. Still wearable but I am pretty disappointed that such an expensive sweater isn't pretreated to prevent shrinking. This sweater was exactly what I needed for the winter. The fit is on the looser side so it’s great for layering and still maintains a cozy fit. It’s versatile and warm. The merino wool material is also very soft and doesn’t make me itch like other wool sweaters. Very warm and soft. Perfect winter sweater. Great Quality and Super Warm! I bought this sweater in Tamarind and it is the most beautiful colour for fall. The quality is amazing! I have the Isabella sweater from last season and it is still one of my favorites! 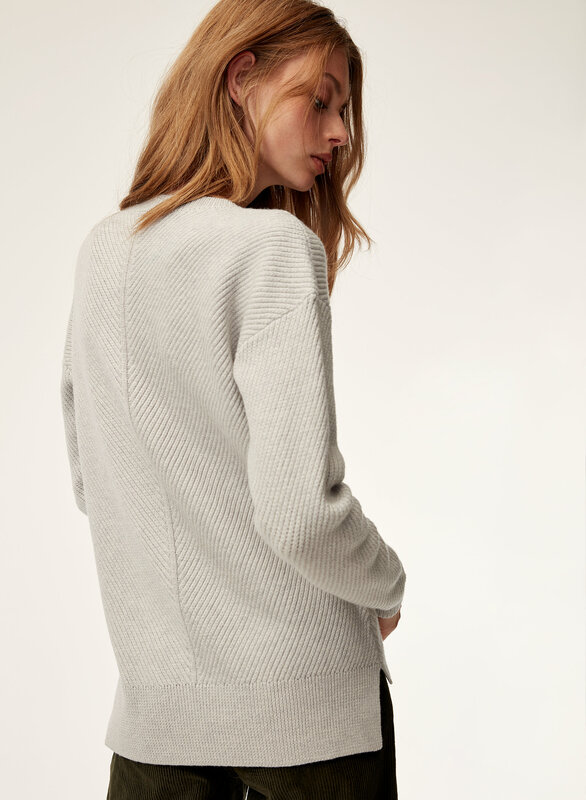 Fit is perfect and details in the knit are beautiful. I get so many compliments every time I wear it! Nice colour, very soft and cozy. Love the thickness and the stitch on this version of the Isabella. Did not like the other one so much. The tamarind colour is unique. Reminds me of curry. The only reason I’m docking a star is the length is awkward for me. It could have been a bit shorter or a bit longer. Tried sizing up or down to play with that but it only distorted the drape. It is really oversized, very well-made though. It is thick and comfortable! I like it a lot, but I wish it wasn't that oversized. I love how the XXS and XS fit on a friend who is usually a size M! Otherwise, love the warmth and simple style with some classy details. Larger than I thought but cozy and cute with leggings. Fantastic sweater to keep you warm and fashionable on those bone chilling days. Love the high low, great with skinnies or jeggings and high boots. This sweater is now my go-to for cold fall days. It’s so beautiful. Considering getting another color because it fits so well. Sweater is cute good quality. Am 5feet petite got the XXS in pink and still a little too big. Getting tired of the over sized look everywhere. Love it so much that I bought a second one in a different color. Want to wear it every day!